*WARNING! - this post is all about my personal life. No crafts today!! Hello friends! Well we started out our summer with some real excitement. On May 12, my daughter, Caitlyn, graduated from Quincy University & Blessing Rieman College of Nursing with her BSN. We are so very proud of her and very excited because she will be working in labor/delivery at a large hospital not far from our house! From left to right, Colleen, Caitlyn and Cassie. I can't believe how lucky I am to be their mother. The day after graduation, Caitlyn and her boyfriend Michael and 9 others from Quincy University left for Italy. They had 10 days to enjoy all the sights in Italy. About the third day they were gone, I got this photo with the message.....She said Yes! We are so happy for them! What a romantic way to propose, don't you think! I think EVERYONE knew Michael was going to propose except Caitlyn. I am very excited for them and kinda excited to get started with the wedding crafts again! Now it's time for us to kick the graduation party plans into gear and get on with the rest of the summer. I am going to ignore the fact that I am now the mother to a Senior in high school. I should have a ton of crafty to share over the summer. I am designing for Crafter's Companion still and in July they will be having another crafty day on HSN. 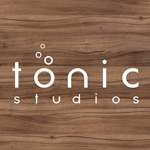 Plus I am expecting a big box of goodies from Tonic Studios soon. I am not really designing for any other companies, so expect some posts using stuff I really love. I really enjoy sharing my creations with you but with the change in the industry (as far as designers go), I am not sure how long I can maintain this blog and continue to share my creations. That is one of the reasons why I started using affiliate links to try and cover some of the costs of keeping my blog, etc. I sure do appreciate it anytime you click on something I link too and make a purchase. Every little bit helps! So now that you are caught up with me and my family, let's get the crafty show on the road! What Have You Been Up Too.....?? Yep my hubby took me to visit The Pioneer Woman's Mercantile. We were visiting the newlyweds in Kansas City, Mo and just drove 3.5 hours to Pawhuska, OK to visit the Merc! LOl My hubby knows me, that's for sure! It was awesome! We ate 1 dinner and 2 breakfasts at the Merc and enjoyed every meal. Here are a few more pictures. I got a copy of PW's new magazine. It's very nice! Plus I got myself a very nice refillable plastic wrap box. This box is really awesome. No sharp edges to cut yourself plus it's super sturdy and you can refill it! This is the hubby after we stood in the heat for 45 minutes waiting for dinner. Considering that he never waits for food, I was very happy to sit down and get a large mason jar full of white peach lemonaide and just sit in the AC! Yep that is THE Marlboro Man. While we didn't get to chat with him, he was roaming around the Merc chatting and drinking his soda! This was my dinner.......PW's Chicken Fried steak with Mashed Potatoes and the best gravy ever!! This is some fancy coffee we had the next morning with our breakfast. We enjoyed all the food and just seeing the Merc as I am an avid follower of PWs blog for years! We stayed in Pawhuska, OK at the Historic Whiting Bed and Bath for two nights. After breakfast, we took a drive around. We visited the Tallgrass Prairie Preserve. Now this is just what you would think it is, miles of grass and gravel roads. But we did see a few Bison roaming free and enjoyed a nice stop at the Visitor Center to learn more about the Preserve. So what have you been doing this summer? I would love to see your adventures. Leave me a link to your blog or pictures!! Thanks for stopping by today! Hello friends! Wow the last week has been a worldwind! The wedding is over and all I need to do is recover and do lots of laundry! From Wednesday on thru to the wedding on Saturday, the whole family was in high gear....go go go......get it all done. But thankfully it was a beautiful day (very hot) and it was a beautiful wedding. Here are a few pictures, taken by a friend, that I wanted to share with you all. I will have more to share later!! Talk to you soon! I bought a huge package of coffee filters at Costco and dyed them using Victorian Velvet and Antique Linen distress ink. I put about 3 inches of water in a plastic container and use a whole refill bottle of the Victorian Velvet and about half of a refill bottle of the Antique Linen inks. Then I just dunked in stacks of the coffee filters and laid them out to dry on a towel lined table. It took at least 2 days for them to dry but I had other stuff to do! LOL For the center pearl, I used the Sizzix Twist 'n Style tool and 22 gauge wire. I will do a tutorial on how to make these flowers later because they are really awesome! I just used some glue dots for the adhesives on these bottles. We will put some babies breath in them a few days before the wedding. The coffee filter flowers in a vase and the bottles with babies breath plus a lantern will all sit on these wood slabs that were cut by my hubby! He cut, sanded and sealed them. Now he is adding some felt on the bottom of them to prevent scratching but also so they are level. Yep, this wedding is a whole family affair! I will share more pictures of our decor after wedding day (June 17). I doubt I will have many regular card projects to share until after the big day but you just never know! Hello friends! Hope you are having a great Monday so far. I have a bit of a family update but I promise there is a new project in this blog post! This past weekend was so much fun for our whole family. My oldest daughter graduated from college with her Bachelors degree in Music Education. Right now she is looking for a job but we are keeping a positive attitude and know that whoever hires her will be blessed with a great teacher! If you have been following my blog, then you will remember this is my daughter who was so sick back in September. She is so healthy now! She is ready to go out and change the world! LOL We are very thankful! This is my hubby and I with our daughter! This week we will also be celebrating my mom's birthday. Here is a card I created for her using the Sara Davies Signature Collection - Floral Delight plus some other Crafter's Companion stuff from other collections! The base of this card measures 5 1/4 x 5 1/4 square. I used Kraft cardstock for the base. I don't know why but Kraft is just my go-to cardstock! The papers are from the Signature Collection by Sara Davies - Floral Delight 6x6 paper pad. I even cut out the roses from another sheet of the same patterned paper. The sentiment is from the Vintage Floral Collection EZMount Stamp Set - Verses. The die is the Downton Abbey Metal Die - Ornate Mirror. I added some Diamond Stickles on the roses that I cut out plus I added some pearls in all 4 corners. I think my mom will love this card! I really love the Floral Delight collection. Hello Friends. Thank you so much for you love, support and prayers during the last 2 weeks. I try not to get too personal here on my blog because I know most of you are here for the paper crafts! LOL But the last two weeks have been a real roller coaster. About 2 years ago, my oldest daughter was diagnosed with Crohn's Disease. We thought things were going ok with her course of treatment but we found out the hard way that wasn't the case. Due to scarring, her small intestines developed a blockage that required surgery. So you see I have been with my daughter while she went thru a very hard surgery and started her recovery. She is 5 hours away from home at college but we were very blessed that she was in a fantastic hospital with even better doctors, nurses and staff. So now she has a new doctor and a new course of treatment that gives us all hope that she can get back to a normal life. Since we found out about the Crohn's Disease, I have been praying, asking God to heal my daughter. Well this wasn't exactly what I had in mind but it is yet another reminder that God is in ultimate control. After the surgery, my husband was able to come be with us for a few days. We went to the hospital cafe to have a quick bite and while I was filling our water glasses I was having a conversation with God (in my head) telling him how sorry I was for being impatient and that I know he has a good plan for Colleen. I looked over at the person standing next to me and saw his name tag......Jesus was his name. I kinda laughed out loud! I told my husband and he said I should have told the man "Hey I was just thinking about you!" but to me, that sounded creepy! LOL God gives us signs and answers in his own time.....someday I will definitely learn that lesson! Here is my hubby and I when he picked me up from the train the other night. I think he was glad to see me! I will be getting back to regular postings again and have started working on my crafty design team projects. It was very weird to not create when I was very stressed out. Usually when I feel stressed, crafting helps me thru those feelings but this time I was far from home. So as things get back to normal, I just wanted to give you all an update and say thanks! I will sharing some new crafty projects starting Monday morning! If you visit my blog to see some papercrafting projects, I will warn you right now that this is a personal post about what is going on in my life lately. I am sure you have noticed that I haven't been posting on my blog as often as I used too. The reason for this is for the last 2+ months I have been dealing with inner ear issues that include vertigo and ear infections. To say that I haven't felt good is an understatement. I had an MRI last week and it was normal so I am going back to the doctor next Friday to find out where I go from here. One possible diagnosis is Meniere's Disease. While it's nice to find out what is going on, this diagnosis is kinda scary. From everything I have read and people I have spoken with tell me this could be a long term thing. So with that said, I am working thru this and taking one day at a time. I am crafting and creating when I can. I love to papercraft and show you what I make so hopefully, you will hang in there when I take a break! I am no longer on the Really Reasonable Ribbon design team and want to focus on my first love - Spellbinders & papercrafting! I got a top secret box full of goodies the other day and I am off to organize my craft room so I can play around with the stuff! Thanks so much for reading along with me and encouraging me! Your comments and emails mean alot! Have a great day! Summer Vacations = Lots Of Fun! I will warn you right off - there are no crafty projects in the blog post. So if you don't want to read about family stuff.....you know what to do! I don't really like to announce when I am leaving on a vacation, for obvious reasons, but last week we went on a fantastic family vacation to the Great Smoky Mountains National Park. We rented a beautiful log cabin in the woods that was big enough for all of us (10 total) and a great time was had by everyone. Here are a few pictures! This was the view from the cabin we rented! My family and my mom plus our friends, Ken & Diane and their 2 boys. It was so much fun! This was one of the many waterfalls that you can hike too in the Great Smoky Mountain National Park. This is the view from a mountain overlook on our way to Clingman's Dome - the highest peak in the park. Unfortunately, when we got to the top it was raining/thundering and not the best weather. But we still enjoyed what we could see! While I was gone, I got some great new toppers from Flower Soft plus I have some Our Craft Lounge stamps that haven't seen ink. So I have plenty of cool things to work with. Hopefully I will be sharing some new projects with you in the next few days!! Talk to you soon!